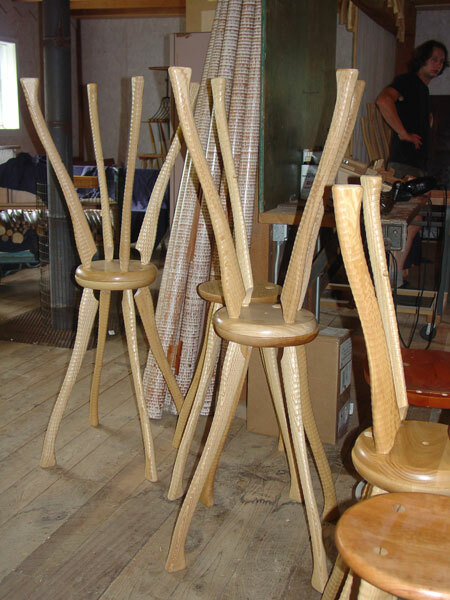 On the way back from the Esherick Museum, we stopped by the studio of a furniture maker that Peter knows, Brad Smith, of Bradford Woodworking. 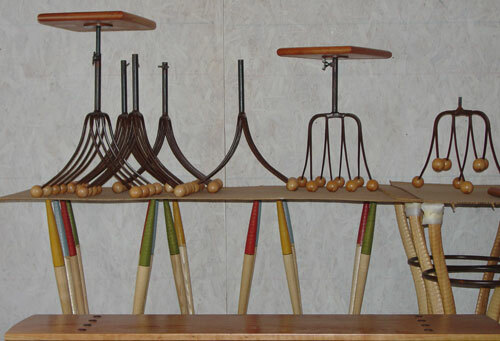 He makes furniture from turned axe handles, croquet mallet handles, pitchforks, and more, and he has two 100-year-old-plus lathes to do his turning. 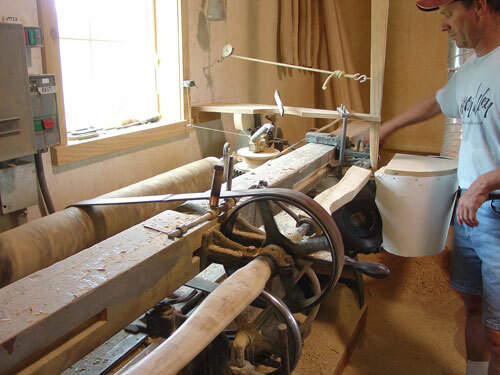 This belt-driven lathe duplicates the form installed in the foreground. 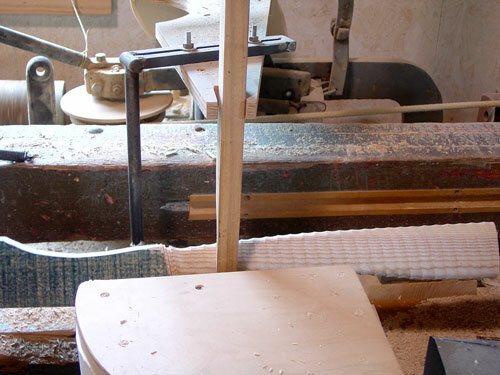 By using a set of dado blades as the cutter, Brad gets the ridge pattern characteristic of the axe handles he uses in his furniture. 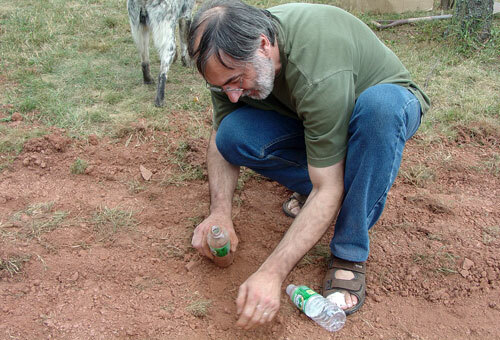 As we were preparing to leave Brad’s place, Jean-François noticed the red dirt bared by an excavator and collected some to try in a finish. 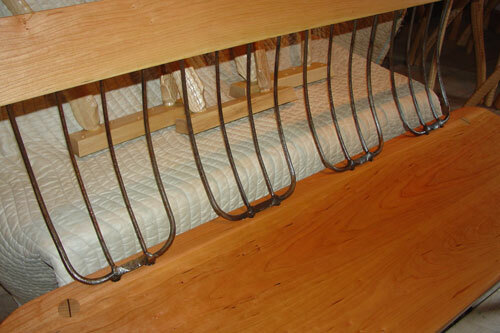 I’d love to hear more about Jean-Francois’ finishes on the blog sometime. I am so curious how the red dirt would be useful!!! !